Hi again! Thanks for coming back! I've seen these all over and thought it was time to make my own. Wish I had old hymnal paper for this, but can't bring myself to cut one up! 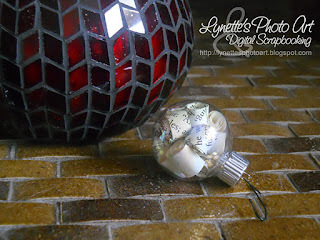 This is a good way to use scraps from other old book paper projects. I've had lots of Christmas goodies this month and will till Christmas, so be sure to scroll back...and come back! Merry Christmas!